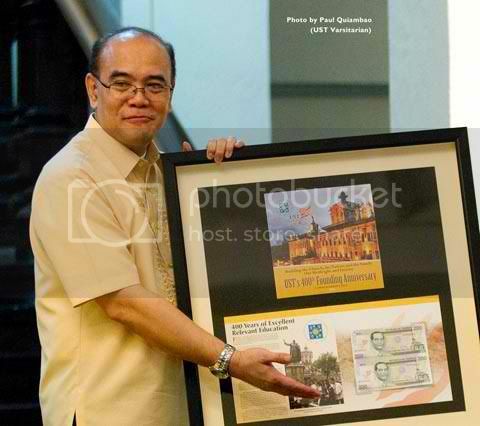 The Bangko Sentral ng Pilipinas recently unveiled a limited commemorative 200-peso (US$4.50) note and gold and silver medals to celebrate the University of Santo Tomas 400th year anniversary. The central bank will issue 10 million legal tender notes and 400 commemorative medals with no monetary value. The central bank will also release 400 special copies of two uncut 200-peso bills equal to P400, matching UST’s years of existence. 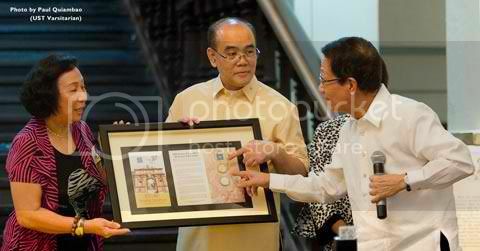 This [currency overprint] symbolizes BSP’s recognition of the significance of UST as an educational institution. 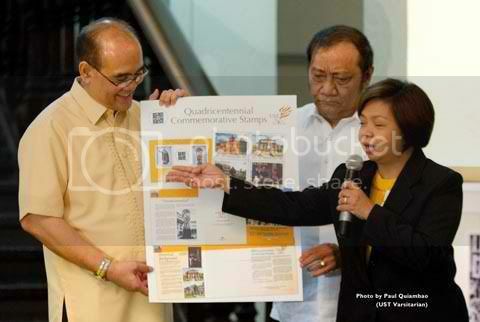 The Philippine Postal Corp. also unveiled commemorative postage stamps featuring key landmarks of the campus which were declared national treasures last year, like the Main Building and the Arch of the Centuries. Elenita San Diego, manager of the postage and philatelic department of Philpost, said post offices nationwide will soon begin using the stamps.